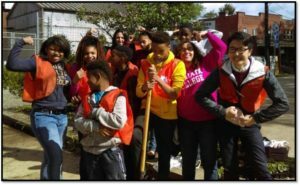 LU staff plants flowers with Arsenal Middle School students at one of the community garden sites. Lawrenceville United (LU) is an inclusive, resident-driven non-profit organization that works to improve and protect the quality of life for all Lawrenceville residents. Lawrenceville United envisions a safe, clean, green, healthy and diverse community where residents work together to shape the neighborhood’s future, while honoring Lawrenceville’s past. 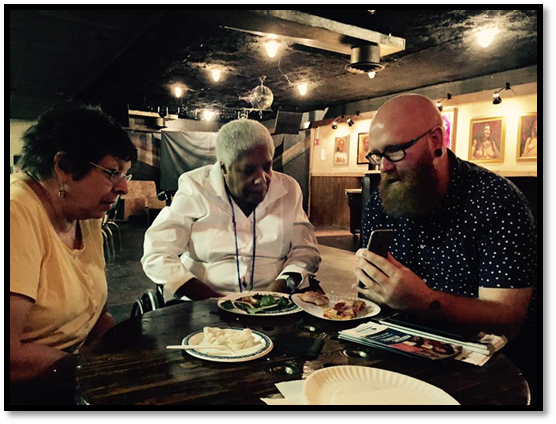 Lawrenceville residents share tips on technology at one of our AdvantAGE program’s inter-generational events.